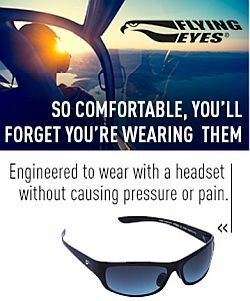 Mike Kincaid is a CFI/Designated Examiner at Mountain Lakes Seaplanes, based at Pappy Boyington Airport (COE) in Hayden, Idaho. He learned to fly in Alaska, where seaplanes are a must, and he had a career with the Alaska Department of Public Safety. In Alaska, Mike hiked, fished, hunted, skied, snowshoed, mushed dogs, flew bush planes, chased bad guys, protected the wildlife of Alaska, and built log cabins deep in the woods. He now shares his passion for seaplane flying with students from around the globe in his restored Piper J3 and writes when the weather grounds him. We talk about how Mike ended up in Alaska and learned to fly, and what it’s like to fly with floats. He offers a few stories about his adventures in Alaska, some good and some very much the opposite. Mike’s books include Seaplane Rating Basics and several others based on his Alaska adventures. Mike was also involved in the movie The Frozen Ground based on a real case about a serial killer in Alaska. The movie is scheduled for release December 2012 and stars Nicolas Cage, John Cusack, and Vanessa Hudgens. Mike did the flying (some if it spectacular glacier flying) which director Scott Walker referred to as “organic flying.” He was the stunt double and pilot for John Cusak. David’s aircraft of the Week: the Thwipplenut Parakeet. In this week’s Australia Desk report: Qantas announces Jetstar Hong Kong in partnership with China Eastern….but will Hong Kong’s lawmakers allow it? Fiji’s military government causing problems for Qantas’ 46% stake in Air Pacific, RAAF ramps up plans for EA18G “Growler” conversions, Melbourne Airport announces a $A1billion upgrade. Find more from Grant and Steve at the Plane Crazy Down Under podcast, and follow the show on Twitter at @pcdu Steve’s at @stevevisscher and Grant at @falcon124. This week on Across the Pond, we get our own student pilot back: Neil Bradon. When we last talked to Neil back in Episode 168 he had just solo’d in Ireland and was planning to spend the next few years in the USA. Well, he arrived, found his school and is flying again. Find out how he’s doing. Neil is an avid Airplane Geeks listener and supporter and has his own blog at www.getmyppl.blogspot.co.uk and lives his life on Twitter as @Pilot_ngb. Find Pieter Johnson on Twitter as @Nascothornet, on his blog Alpha Tango Papa, and also on Facebook at XTPMedia. Opening and closing music is provided by Brother Love from the Album Of The Year CD. You can find his great music at http://www.brotherloverocks.com/. 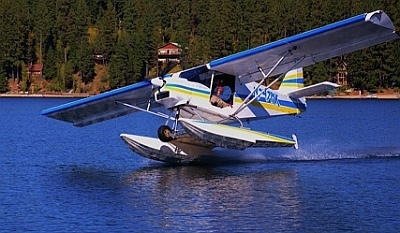 This entry was posted in Episodes and tagged Airport security, Alaska, bush pilot, float plane, jetBlue, seaplane, Sun n Fun on April 3, 2012 by maxflight.